UPDATE: Gamestop gets Freedom Edition, meanwhile. UPDATE: The Freedom Edition of Assassin's Creed 3 is a Gamestop exclusive, Ubisoft has confirmed to Eurogamer. It features two different exclusive missions: the Templar-fighting Ghost of War level and Lost Mayan Ruins adventure, which award The Pontiac's War Club weapon and Captain Kidd's cutlass, among other bonuses. 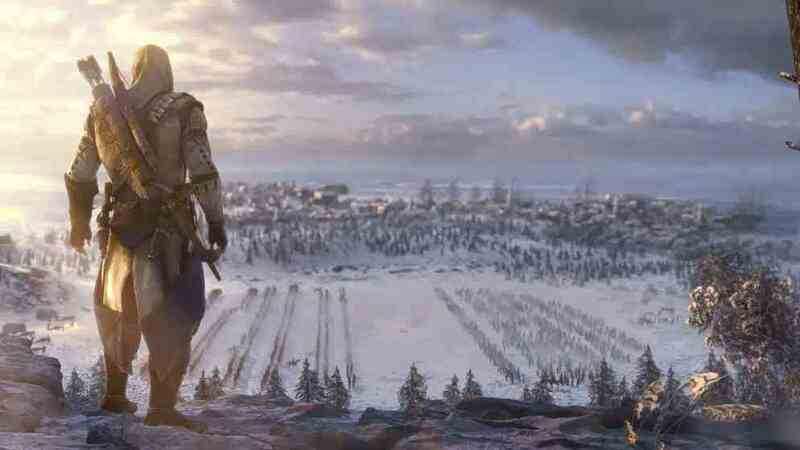 ORIGINAL STORY: Assassin's Creed 3's already-announced Special Edition will be exclusively available at GAME, the recently revived retailer has revealed. The Assassin's Creed 3 GAME Exclusive Edition, as it is now named, boasts the exclusive in-game campaign mission "A Dangerous Secret" and flintlock musket weapon. It costs £39.99 for PlayStation 3 and Xbox 360, or £34.99 on PC. "A Dangerous Secret" sees hero Connor discover something that could jeopardise the funding of the American Revolution. Mysterious. The GAME Exclusive Edition complements two other special versions of Assassin's Creed 3. Firstly, the Join or Die Edition, which offers a different exclusive mission plus various collectible items. Then there's the Freedom Edition: the most lavish of them all. It includes two exclusive missions, a figurine and other bits and bobs. Ubisoft has previously rolled out all Assassin's Creed pre-order DLC for general release post-launch. Assassin's Creed 3 launches in the UK on 31st October 2012.